Rocket.Chat Federation allows servers to communicate with each other, with no limits on the number of connected servers. We use industry standards, like DNS records, keeping the process as seamless as possible, seeking the most hassle-free communication between servers. When enabling federation on your server, your server becames part of the Rocket.Chat Federated Network, which allows it to find and exchange messages and files with other Federation enabled Rocket.Chat servers. This determines whether or not Federation is enabled on this server. 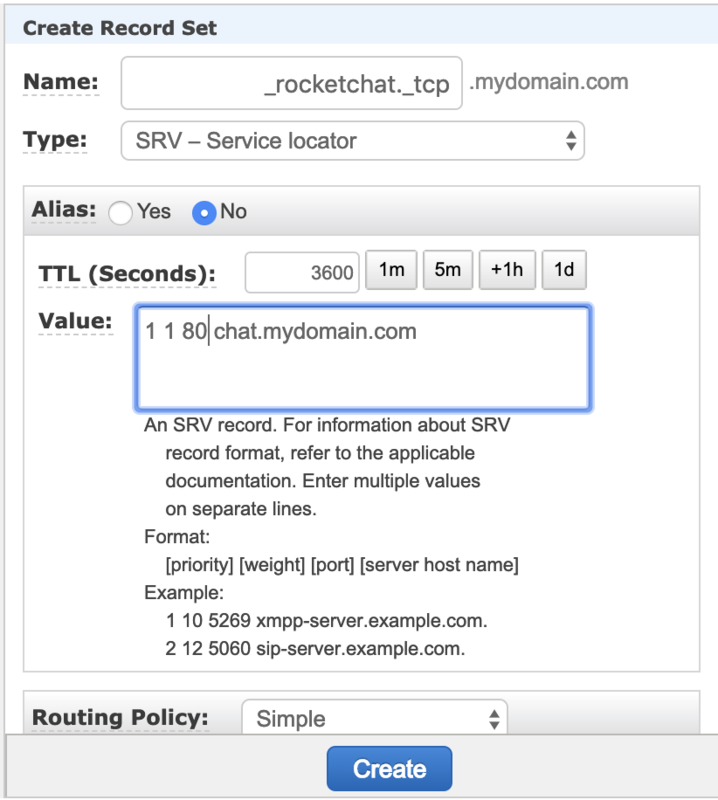 Fill this option with your domain name, usually where the Rocket.Chat server is hosted. All Federation communications are double encrypted, which means messages cannot be delivered by mistake to a wrong peer. This is your public key, which is specially generated for Rocket.Chat and by Rocket.Chat, which will be shared with peers you are communicating with. The encryption process encrypts the message using the Server A private key, and the Server B public key. When a server receives the message, it uses the Server B private key and the Server A public key to decrypt it. So, let’s say the message ended up on Server C: this server won’t have Server B’s private key to decrypt it, so the message can’t be read at all. This usually remains as is. This is the Hub URL, where your server will register and confirm domain ownership if you are not using DNS discovery method. How are you going to be found in the Rocket.Chat Federated Network? You can choose through DNS or, as a fallback, the Rocket.Chat Hub. Important: We recommend using the DNS method. The Hub is a tool to allow users to easily adopt, try and validate the feature or as a different way to be part of the Rocket.Chat Federated Network until DNS record changes are made. Also, the Hub requires external communication and access to a specific e-mail address owned by your domain, as explained below, which introduces extra configuration steps in some protected internal networks. To add your server to the Federated Network using the DNS, fill all the needed configuration fields (making sure you are picking true on the Enabled field), pick the DNS Discovery Method option, save and follow the guide below. Let’s suppose we have a domain named mydomain.com, and my Rocket.Chat server is hosted at chat.mydomain.com, port 80. When both of those entries are added to the DNS records, you should be able to be found by other peers after the propagation. To add your server to the Federated Network using the Hub, fill all the needed configuration fields (making sure you are picking true on the Enabled field), pick the Hub Discovery Method option, save and follow the guide below. When you click Save on the federation config screen, you will begin the registration process. This process takes a few seconds and if you are not yet registered to the Hub, you should receive an email at webmaster@mydomain.com, where mydomain.com is the domain address you configured on the Domain field. Make sure the data is correct and confirm the changes. After that step, you should be able to be found on the Rocket.Chat Federated Network. Click here to learn how to use Rocket.Chat federation.